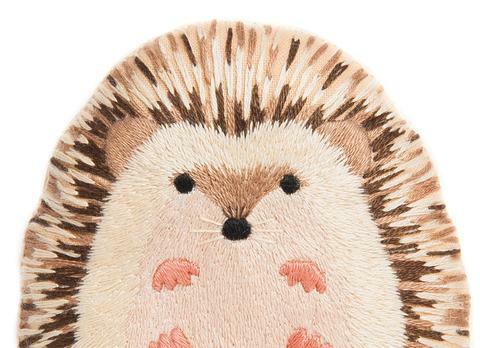 The Hedgehog pattern uses a variety of stitches and covers up most of the pattern surface. 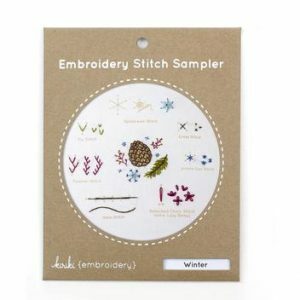 Great for adventurous beginners or seasoned stitchers! Estimated time to complete 15-30 hours. 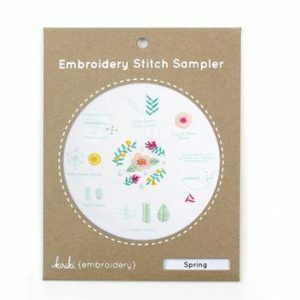 The embroidery pattern is screen printed directly on the cloth by hand with vibrant, water-based inks right onto the fabric so no tracing or transferring is ever required! 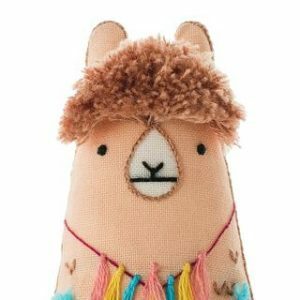 This listing is for the kit only and does not include the finished plushie. 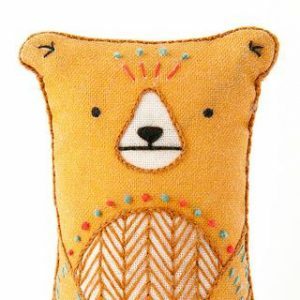 The finished plushie is about 4.5″/11cm tall.